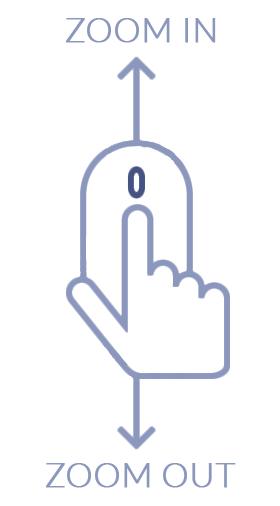 Total Carat Weight: 2.70 ct. 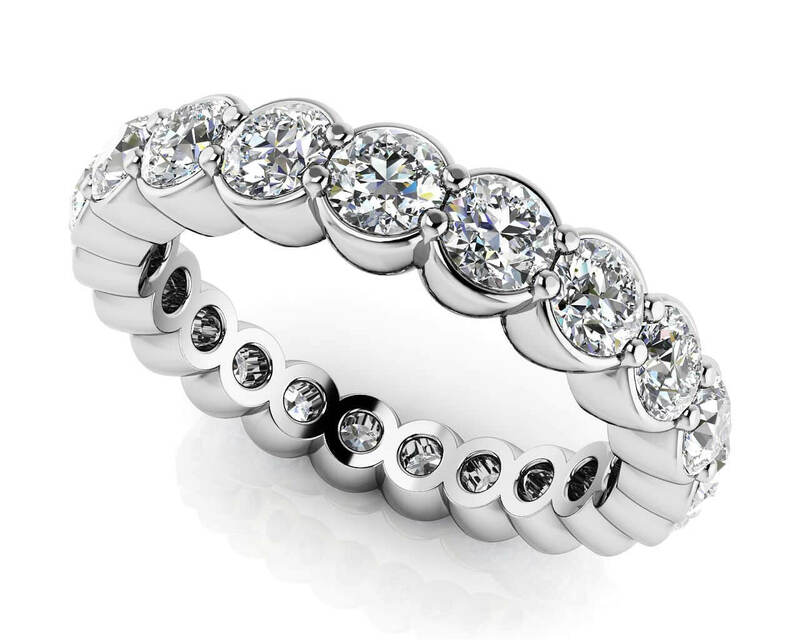 This eternity ring makes a bold statement with a lot sparkle! 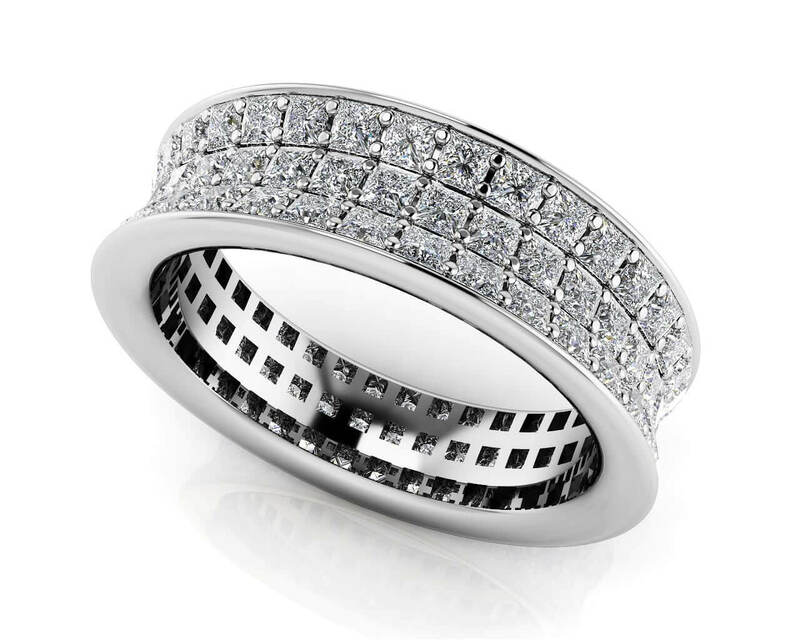 It features an impressive 3 rows of princess cut diamonds prong set within a spectacular curved band design. 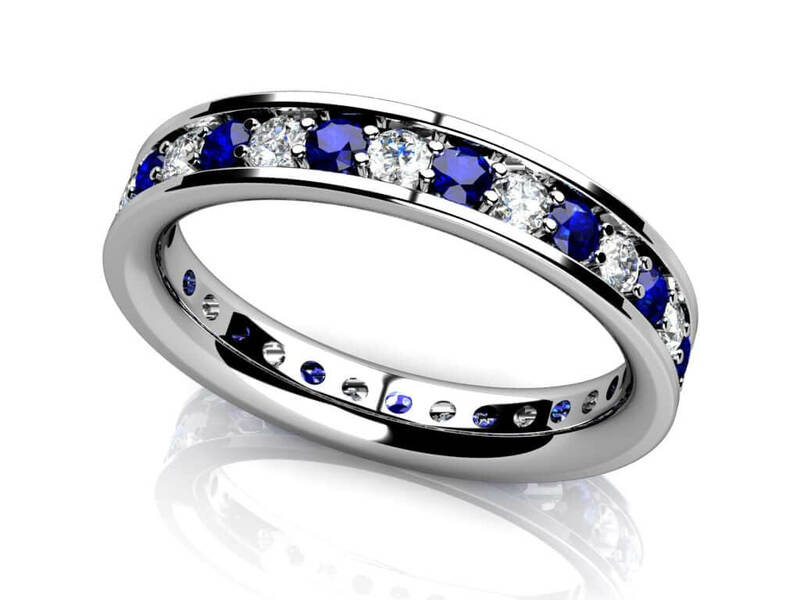 This eternity ring is a great way to surprise the special woman in your life for a birthday, anniversary, or any special occasion. 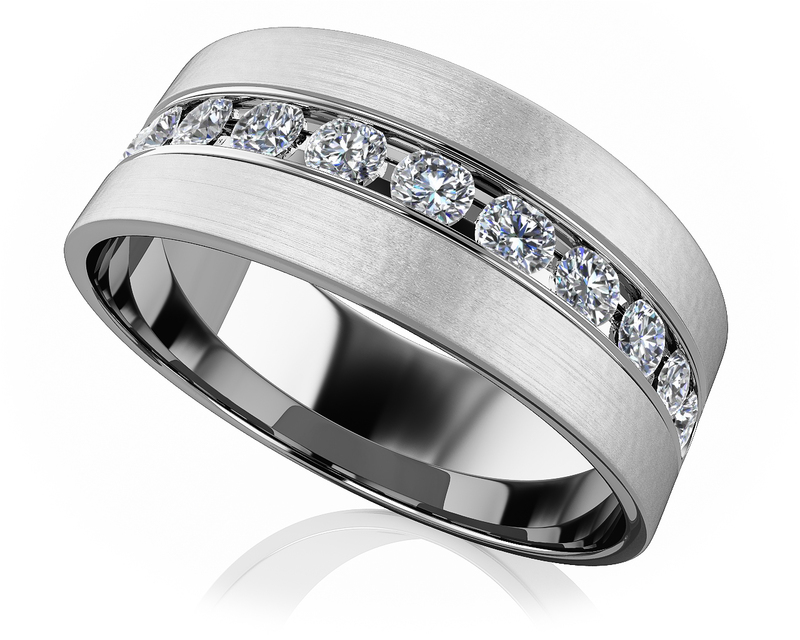 Customize this ring today with your choice of metal type and diamond quality. Model Carat Weight: 2.70 ct. Effective Carat Weight: 2.70 ct.
Stone Carat Weight: 108X0.025 ct.